A few weeks prior to New Year's Eve, I attended an event where all the beverages being served were... mocktails. As I sipped on several, I found myself wondering if I could realistically cut booze out of my life completely. I never really liked drinking to begin with — it's always been more of a social activity to make me feel slightly less awkward in a room full of strangers. Upon doing some research, I discovered that there's no such thing as a mocktail bar, but a select few places have mocktails on the menu. Like many people, I challenged myself to partake in Dry January — while my cleanse lasted for 19 days, this whole stream of thought has not left my mind since. I wondered if mixologists ever keep this in mind when they're behind the bar. To my surprise, it's far more common than I realized. It turns out that ordering a mocktail is almost always a choice even if it's not explicitly printed on the menu. 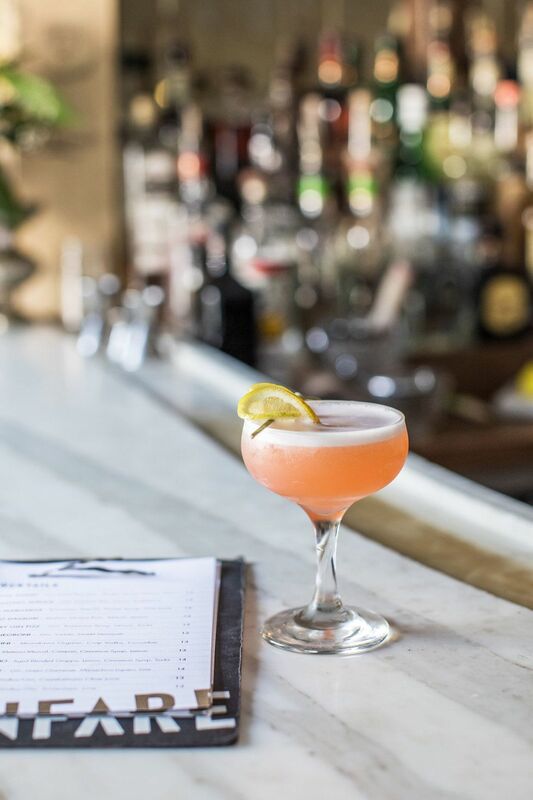 Ivy Mix, the head bartender and co-owner of Leyenda in Brooklyn, is always conscious of the fact that customers like having options. "I think having a special menu of non-alcoholic beverages is very important," she says. "Sometimes when drinking, we may want a break from the booze and not let on that we're not drinking, or maybe someone is pregnant and still wants something delicious." 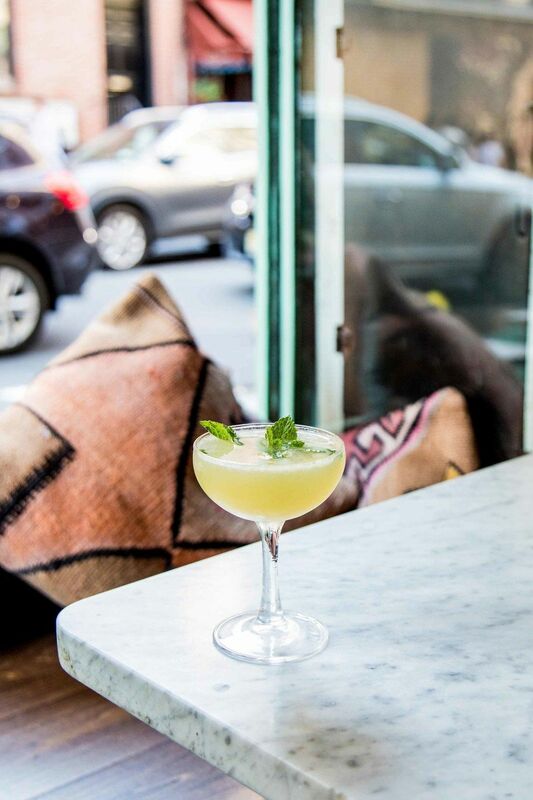 John Condon, the service manager of Left Bank in Manhattan also agrees on the topic of serving creative non-alcoholic drinks. "Creating great drinks comes down to the combination of flavors," he says. "And there is no reason that the care and effort put into making drinks with booze in it can't be put into drinks sans-booze." Directions: Start by muddling the ginger with the lemon juice and simple syrup. Add that to a shaker filled with ice and add the thyme and water. Shake and strain into a Collins glass filled with ice and fill to the top with soda water. Directions: Vigorously muddle the ginger in the shaker. Add the mint and lightly muddle to release aroma. Add the rest of the ingredients and shake with plenty of ice. Double strain in a coupe or rock glass with fresh ice. Top with tonic water. Garnish with a strawberry and 4 blueberries. For a "pulpy" version, build straight in a tall glass. Directions: Stir, strain over a big rock in a rocks glass and garnish with a celery leaf. Roughly chop ginger and turmeric, and place in blender. Add lemon juice and blend until it becomes a smooth puree. Strain mixture using a fine chinois or muslin cloth into a clear container. 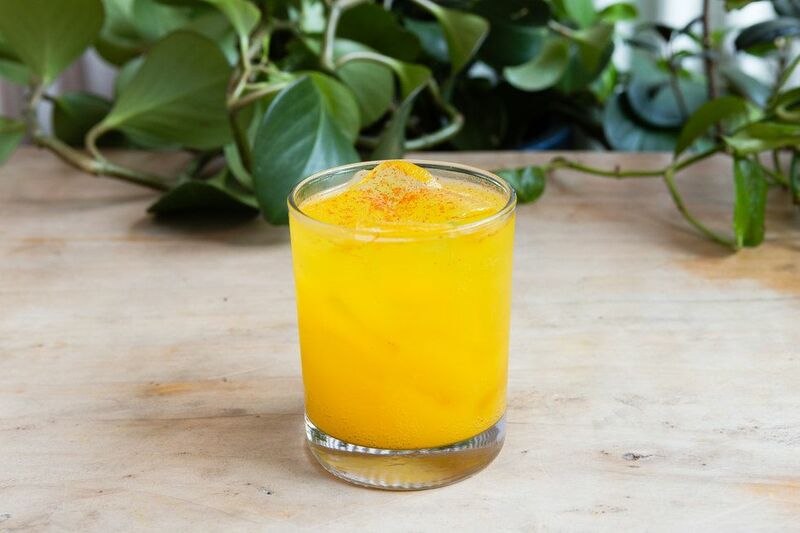 Combine turmeric concentrate with seltzer over ice, stir, and garnish with a pinch of cayenne pepper. Directions: Shake juices and syrups, top with mint and club soda. Directions: Build in large glass. Swizzle with crushed ice. Garnish with apple fan, straws, star anise.